I had a post in my head for the last couple of days. About fifteen minutes ago, I sat down to write it. This was at the exact same time that my son’s timer went off, signaling that video game time was over and it was time to get working on his chores. This, of course, turned into a huge meltdown. The kind where there are slamming doors, mass destruction, and stomping just for the sake of making more noise. Yelling because he’s mad that I’m a “mean mom.” Mad that I wouldn’t let him try to beat this bad guy on a level he had never been to before. All the while, I’m trying to stay calm. Trying to keep my voice level. Stopping myself from yelling mean things to my six year old, knowing that would only make matters worse (and feed to the idea that he thinks I’m the meanest mom on the planet). Telling myself that I just need to calm myself down while he yells in my face and tells me he doesn’t ever want to do anything I ask of him. Inside, I just want to go nuts on him. I want to tell him how lucky he is to even have a Nintendo Wii and have parents who are able to provide fun things for him to do. I am two seconds from losing my cool here. It’s not easy, but I pull a few tricks out of my handy dandy toolkit and hope for the best. Many of us have poor eating habits that have yielded ways for us to deal with stress and anxious situations. In the past, when I would get in a situation such as this one, I know exactly how I would have handled it. I would have gotten to my brink of boiling over, and then I would have shut down. Shut down and walked into the kitchen. Walked into the kitchen and grabbed a spoon and a pint of ice cream from the freezer. And I just would have gone to town. I would have eaten and eaten until I no longer felt anything. I my main goal would be to feel numb and no longer want to yell at my son, but instead be upset with myself for feeding my feelings. And if ice cream didn’t do it, I would have moved onto chips. After chips, I’d find some cookies. Maybe even make myself a cheese quesadilla. I would have gone on and on until my rage was directed toward myself. These were my tools two years ago. I am proud to say that my calming techniques are quite a bit more refined now than they used to be. I now know how to go from boiling hot to nice and cool (or at least back to room temperature). I was proud of myself for not losing it. I held myself together, and I was able to calm myself in a healthy manner. I know how easy it is to snap and just turn to food when we’re stressed. It’s easy to go back to old habits, especially when you’re under pressure. But I’m hoping I can share with you a few of the ways I’m able to calm myself down before losing my you-know-what! 1. Remove yourself from the situation. Sometimes, it’s important to just walk away from the situation. I will be one to admit that, yes, I have been close to putting the smack-down on my child. Now, before you call protective services on me, I can 100% assure you that I’ve never actually done this. I just know I’ve been so upset with him that it’s gotten close. So I know that sometimes I just need to walk away. Parents need time-outs sometimes too, and that is absolutely okay. If you have a younger child, make sure they are in a safe place, such as their crib, before you give yourself some space. 2. Take a breather. Close your eyes and take ten deep breaths. Go to your happy place and just breathe. The power of connecting to your breath is really very powerful. You don’t want to just breathe – you want to actually focus on each breath. Each inhale filling your body with life and calmness. Each exhale getting rid of the negative you are currently going through. 3. Turn on some uplifting music. Right in the middle of whatever stress that’s freaking you out, go turn on the stereo or your iPod. Find something that is going to make you want to sing and dance. I know there are times when you’re sad and upset, and all you want to do is feel those emotions and stay upset. But there are also times when it’s necessary that you calm yourself. When I’m looking for music to calm myself, and also when I’m writing or doing some yoga practice, I like to listen to a specific station on Pandora. It’s the David Lanz station. He is an amazing pianist who has so many calming effects and is always sure to do the trick for me. 4. Essential Oils. I know this is super “crunchy granola earthy” sort of stuff, but you know, that’s what I’m into. I’m into things that have natural healing properties, and Spark Naturals essential oils have exactly that. When I’m feeling upset and extremely anxious about something, I dab some Tangerine or Lavender oils on my temples or my wrists, and I am sure to feel much calmer within just a minute or two. These oils have some amazing powers, and they are completely natural, so I am quick to use them in many situations in my life. 5. Move yourself. Yup, that’s right. Stop yourself right in the middle of what’s ticking you off and lace on those tennis shoes and get moving. 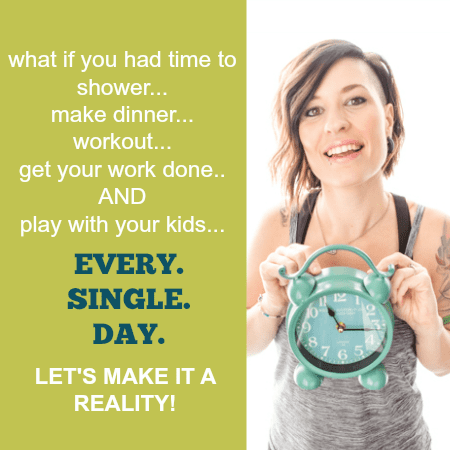 Whether it’s a quick jog around the block, or a workout video you found on YouTube. Just get moving. Exercise really tends to clear your mind, and most of the time you’ll come back feeling a million times more refreshed. On top of that, it distances you from whatever or whoever is bothering you. Like I said, right before sitting down to write this, I was fuming. I didn’t know how I was going to get my head straight to be able to write anything that made sense and that wasn’t angry. But because of these tools that I keep with me at all times, I was able to calm myself without turning to food. I was able to become level-headed and sane. And within minutes, my son must have seen that I meant business and that I wasn’t going to let his attitude get to me, because he apologized for his poor behavior without me even asking. What are some healthy tools you use to calm yourself when you’re really ticked off? Great post Holly! Most of us who are moms can definitely relate. Also, I LOVE your site; the layout and graphics are fantastic. Awesome post. Great advice. I have a six year old that's pushing all sortsof boundaries ATM, couple with trying to potty train my three year old and deal with my four month old so it's very timely. Wow Theresa, you have got a LOT on your hands! I don't know how moms of multiple young ones do it! You must have some super-powers. I'm glad you found some value in this post – hopefully you can use a few of these tips to get you through your stressful days! Yesssss….. I can can totally agree with this post, I have a 7 year old (emotional) daughter and twin 4 1/2 year old BOYS. Usually I can go through about 3 weeks of no temper attacks, but when I do get upset, I want Chocolate NOW 😉 or if it’s bedtime and a rough day I’ll have a glass of wine. 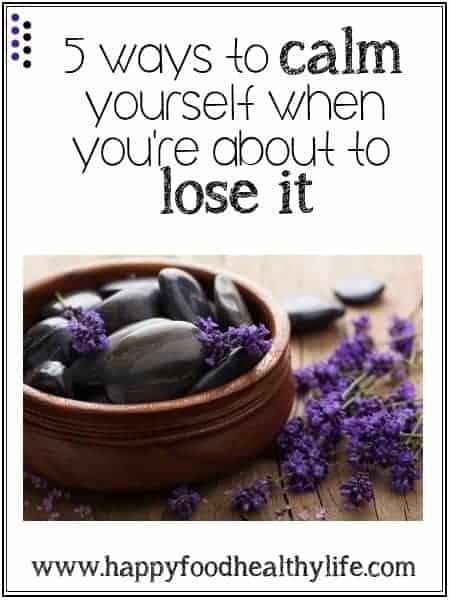 I’m a massage therapist and I can completely understand how essential oils can work wonders in a matter of minutes, but I often forget about them in intense situations when all I wanna do is EAT. Thanks for your honesty and insight in what us moms are all to familiar with.